So yesterday it was revealed that our very own Harry Leroy was going to be featured on the latest issue of Sports Illustrated. Immediately everyone was all, "grumble grumble there goes our season! ", "OMG SI JINX" and "Holy crap remember when Hamels was on the cover last year and then he went out and got a little dog in a backpack and totally bit the big one all season long and then we wanted to trade him for anyone not named Cole Hamels because we're by and large a completely irrational and overreacting fan base that's somewhat incapable of objective analysis and critical thought?!" 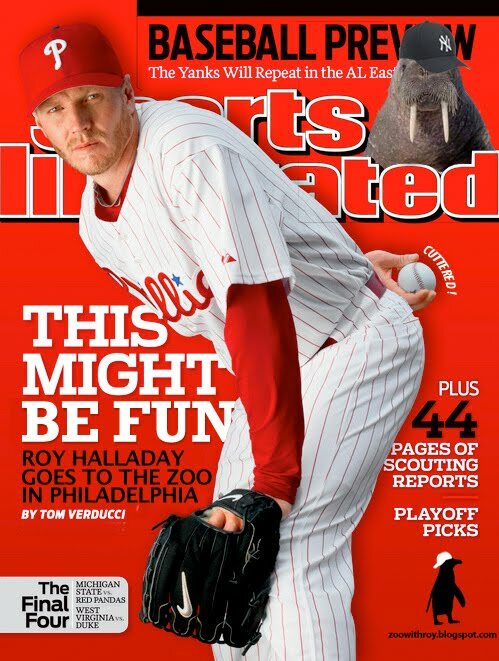 Of course, the so called "SI cover jinx" is all just a bunch of crap; it's confirmation bias. 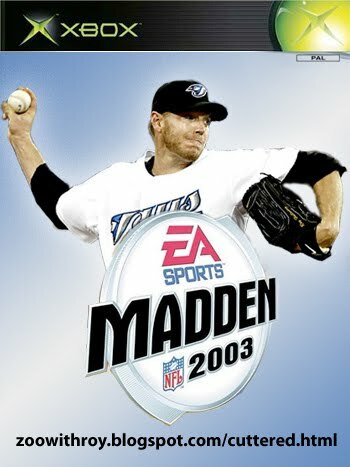 We only remember the incidents when a player or team screws up after being on the cover, but we conveniently forget all the other times that they don't. But even if it was real, we have concrete proof that Roy is impervious to this sort of black magic. Huh, what, you ask? And let me tell you, the Madden cover jinx is no confirmation bias hocus pocus. That thing is REAL. So everyone just chill out. Roy's got this. Keep your myopic, underwater-adapted eyes out for the #ZWRmy at Nats Stadium on Monday. Immagunna J-Roll on over to the ballpark, light blue, white penguined-shirt on display like Komrade Panda in Woodley Park.